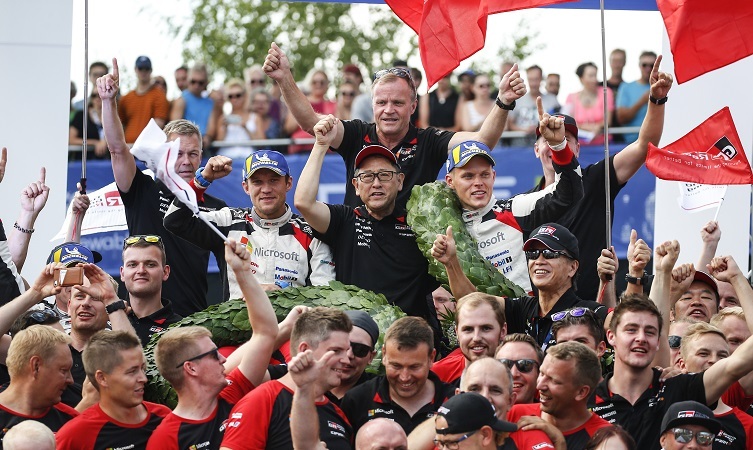 The Toyota Gazoo Racing World Rally Team claimed an emphatic victory on home turf on Sunday with Ott Tänak powering to an impressive win on Rally Finland. He was joined on the podium by team-mate Jari-Matti Latvala who clinched third place. Review: Rally Finland got underway following the opening stage in the centre of host city Jyväskylä, which consisted of both asphalt and gravel. Watched on by enthusiastic crowds and with strong support for the locally-based Toyota Gazoo Racing World Rally Team, Ott Tänak posted the fastest time to claim an early rally lead. Ott Tänak (driver car 8): “This first city stage is a nice one. It’s pretty demanding, with a few high-speed sections. We had a good clean run and I was happy with how it went but tomorrow’s stages will obviously be completely different. Review: Toyota leads after the first full day. 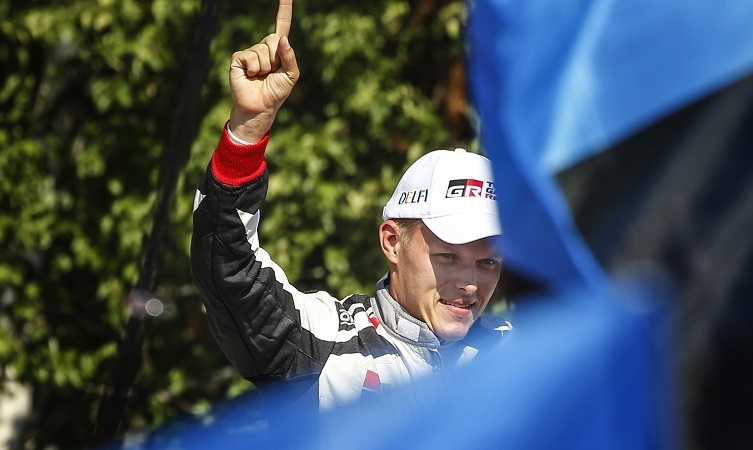 Tänak delivered a strong performance throughout, winning five stages and leading by 5.8 seconds heading into Saturday. Team-mate Jari-Matti Latvala also occupies a podium position in third place. Tommi Mäkinen (team principal): “It has been a very good day. Ott has been incredibly fast. He didn’t have the easiest conditions today. The stages are so dry compared to what we’re used to here in Finland, so there has been a lot of road cleaning for the first cars. 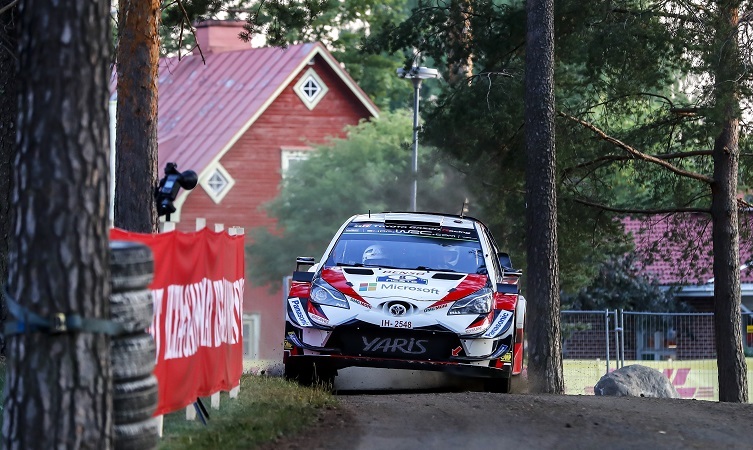 Review: The Yaris WRC continues to lead Rally Finland after an exceptional performance on Saturday, when it won all eight stages. 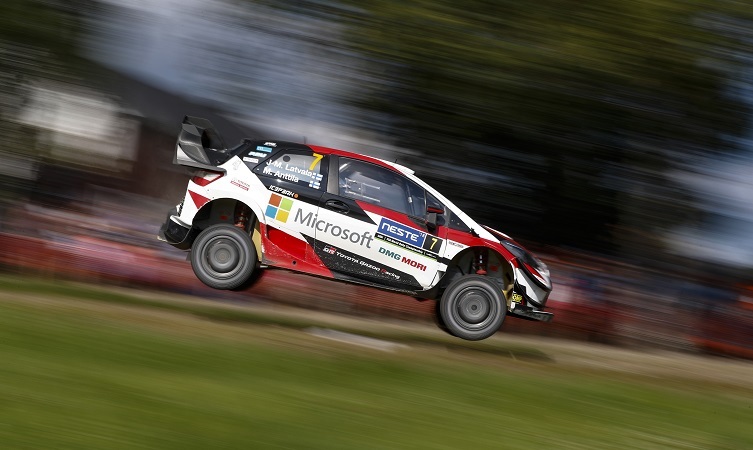 Tänak increased his leading margin to 39 seconds, Latvala consolidated his podium position and Esapekka Lappi charged from eighth to fourth. 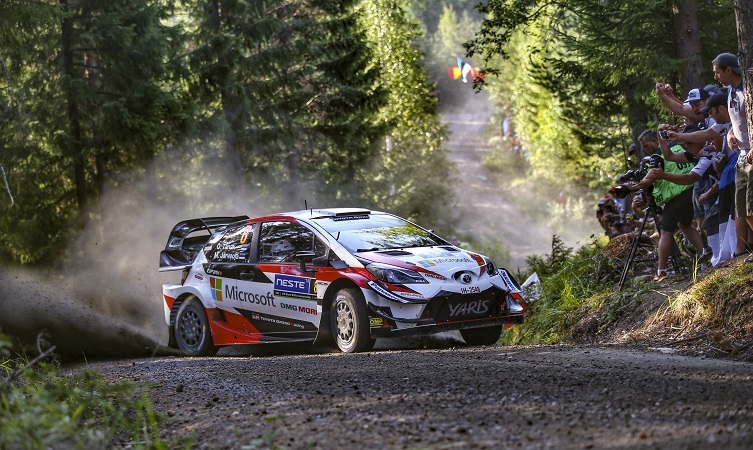 During the afternoon, the three Toyota drivers posted the three fastest times on three consecutive stages, demonstrating the team’s strength on its home roads. Jari-Matti Latvala (driver car 7): “It has been really enjoyable today. There was still a little bit of speed missing during the morning loop but we made some changes to the car in the midday service and I started to get a better feeling and I could start to push more. This meant I was wearing my tyres a lot but it was amazing how fast we were still able to go. 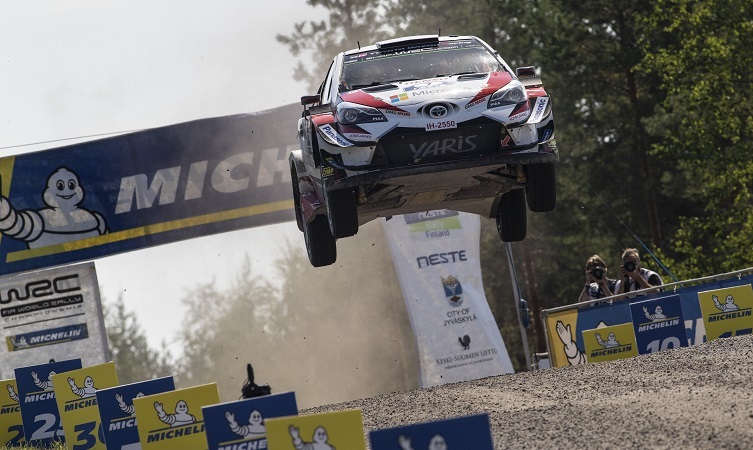 Review: The Toyota Gazoo Racing World Rally Team is celebrating victory on home soil on Rally Finland after Tänak sealed a hugely impressive win by setting the fastest time on the Power Stage. Latvala clinched third place to give the team a fantastic double podium. The ninth round of the 2018 World Rally Championship is Rally Deutschland, which takes place on 16-19 August. Why does Toyota make hydrogen cars?